In today’s highly competitive and global economy, understanding tourist behavior is imperative to success. Tourist behavior has become a cornerstone of any marketing strategy and action. Choosing, buying and consuming tourism/travel products and services includes a range of psycho-social processes and a number of personal and environmental influences that researchers and managers should take into account. This book provides an overview of such processes and influences and explains the basic concepts and theories that underlie tourist decision-making and behavior. 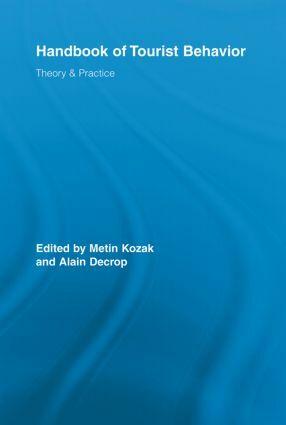 It also incorporates a number of cases studies in order to aid readers to better appraise the application of those concepts and theories. The Handbook of Tourist Behavior will be of significant interest to researchers and students in tourism, leisure, marketing and psychology, and also to practitioners in the tourism industry.